Established in the year 1989, De Juvel is a top-most firm engaged in Manufacturing, Exporting, Supplier, Trading and Wholesaling of Yellow Gold Diamond Ring, White Gold Diamond Ring, Gold and Diamond Bangle. These products are manufactured in well-sophisticated units at ours end. We make use of optimum quality of gold, silver and other refined metals with highly sophisticated technology. In harmony with the current market fashion and demands of the clients, our offered collection is widely appreciated for its mind soothing design and optimum use of gem. Under the supervision of experts, this jewelry is examined on various factors. Trained and skilled teams of professionals keenly seek all phases of the refining process to uphold their durability, exclusive designs and perfect finish. We have large distribution channel, professional artisan team and other staff members who enabled us to uphold ourselves at the top position of the national and international market. Our team has supervision experts and quality specialists to manage all the production procedure in all possible ways. Our market-finding experts constantly search for worldwide market to deliver best grade attractive spectrum of jewelry products. 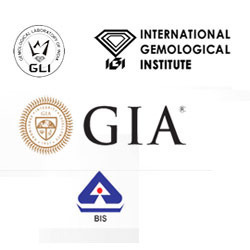 Our quality experts do the final examination of all our provided jewelries on diverse levels prior to the final deliverance to national and global consumers of products. Working under the supervision of our mentor Mr. Sandeep Manna, we have developed a celebrated position across the national and international market. We deals in our own brand De Juvel. We have constructed state-of-the-art infrastructural facility to provide our clients with an elegant assortment of products. This facility is divided into various full-fledged units like procurement, manufacturing, quality testing, marketing, warehousing & packaging and research & development. The allied processes of these departments are efficiently carried out by our competent professionals adhering to the international quality standards. We have installed advanced machinery and technologies at our production unit to fulfill the bulk and urgent projects of our clients at a rapid production rate. De Juvel is brand designed for men & women with liking for classic & contemporary jewellery. our product is made in yellow gold alloy with copper n silver, studded with precious & semi-precious stones. we offer wonderful collection of Yellow Gold Diamond Ring, White Gold Diamond Ring, Gold and Diamond Bangle, Gold and Diamond Nose Pin, Gold and Diamond Earring, Loose Diamond, Gold Ring and Diamond Necklace. Our capable trade nature and management made us a glorious achievement in the industry, within the short spell of time. After managing a long-term bond with these professionals for obtaining of quality assured jewellery, we are able to bring forward optimal quality of designer sets to valuable clients. Our large circulation system has made in reach our products in various corners of national and international market.